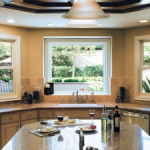 Replacement Windows Wherever You Are! Full Star Created with Sketch. Full Star Created with Sketch. Full Star Created with Sketch. Full Star Created with Sketch. Full Star Created with Sketch.